An Associated Press analysis alleging that charter schools perpetuate segregation has drawn backlash from African-American education-reform advocates who consider it misleading. The AP report, published Monday and headlined "U.S. Charter Schools Put Growing Numbers in Racial Isolation," says that "charters are vastly over-represented among schools where minorities study in the most extreme racial isolation." 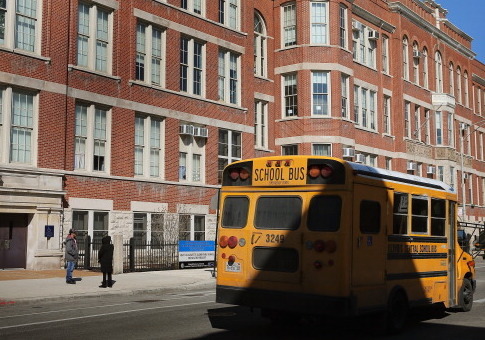 Many charter-school advocates have criticized the report for ignoring the successes of charters in minority neighborhoods and serving the progressive agenda against school choice. "This story is an exercise in power mostly by those on the left and progressives who believe desegregation is the only method of delivering quality education to all students," Gerard Robinson of the American Enterprise Institute told the Washington Free Beacon. "That plays to their constituency, funder base, and a social engineering ideology that dates back to 1950s research." Robinson, who served as commissioner of education for the State of Florida and secretary of education for the Commonwealth of Virginia, said the AP report shows how liberal attitudes on school reform have shifted following the election of President Donald Trump and his appointment of Education Secretary Betsy DeVos. "In an era with a Republican president, secretary of education, and Congress who support school choice, this is a doubling down by the left against that agenda," he said. The first quote in the AP report came from Minnesota civil rights attorney Daniel Shulman, who said, "Desegregation works. Nothing else does." "There is no amount of money you can put into a segregated school that is going to make it equal," Shulman added, arguing that charter schools proliferate racially segregated schools. Robinson found Shulman’s logic flawed, and he argued that teachers, Advanced Placement courses, and access to technology matter more than demographics. He also pointed out geographic realities and the fact that mostly minority charters and magnet schools have been ranked among the country's best by U.S. News and World Report. "The majority of students [in U.S. schools] are not white," Robinson said. "You don't have enough white students to go around to make the social engineers feel good about the demographics." Johnny C. Taylor Jr., president of the Thurgood Marshall College Fund, also criticized the report's framing and compared charters to historically black colleges and universities (HBCUs). "This article frustrates me—if you believe charter school "isolation" hurts students b/c they enroll high % of one minority group, what do you say about HBCUs [sic]?" he asked on Twitter. Shavar Jeffries, president of Democrats for Education Reform, also tweeted criticism of the AP story. He argued that charters are not to blame for segregated conditions. This entry was posted in Issues and tagged Betsy DeVos, School Choice, Schools, Trump Administration. Bookmark the permalink.